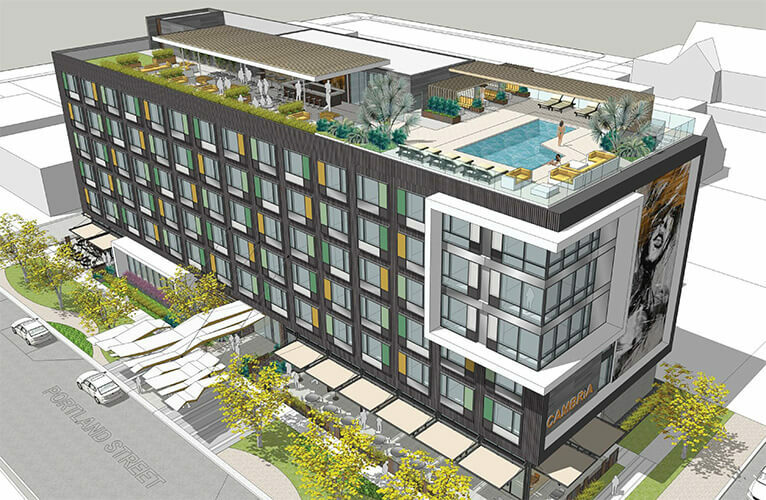 New Hotel Coming to Roosevelt Row - Downtown Phoenix Inc.
Construction has begun on a new hotel in the Roosevelt Row Arts District. 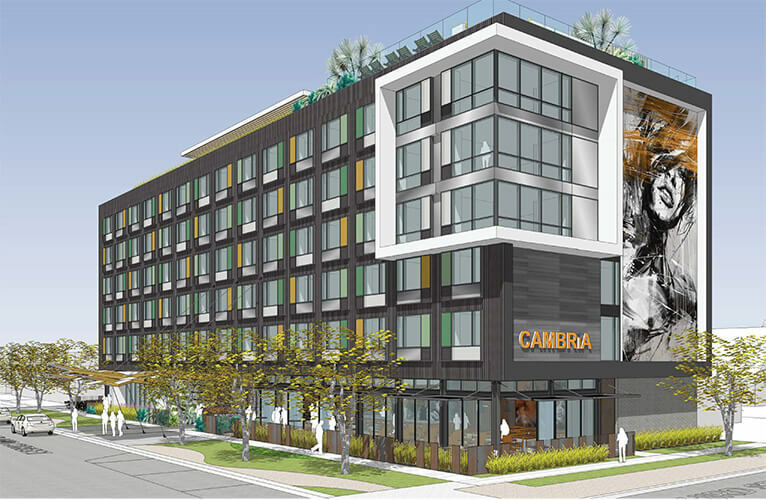 The seven-story Cambria hotel will have 127 rooms and is slated to open at the end of 2019. Located on the northwest corner of Third and Portland streets, the upscale hotel will feature a rooftop pool with cabanas and a bar, and panoramic views of the downtown skyline. In addition to a ground floor café and restaurant, the property will also incorporate art to reflect the surrounding arts district. The developer behind the project is True North Studio, which currently offices out of the Monorchid coworking space. True North Studio is working with local nonprofit Artlink Inc. on a formal call to artists to commission local, national and international artists to create exterior murals and an iconic sculptural shade structure to be placed outside the hotel entrance. In addition to the Cambria, True North Studio is also spearheading multiple development projects in the surrounding Evans Churchill Neighborhood where Roosevelt Row is located. Other projects include the R02 and Knipe House project, the historic Sarah H. Pemberton House activation, as well as a future cafe in a historic bungalow on Portland Street.